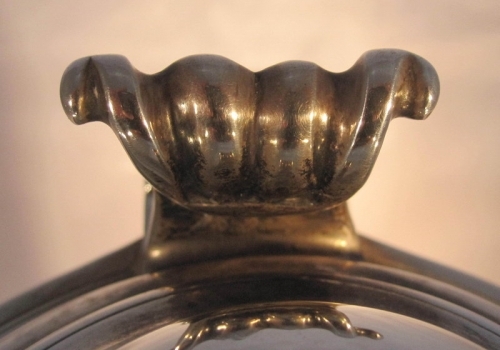 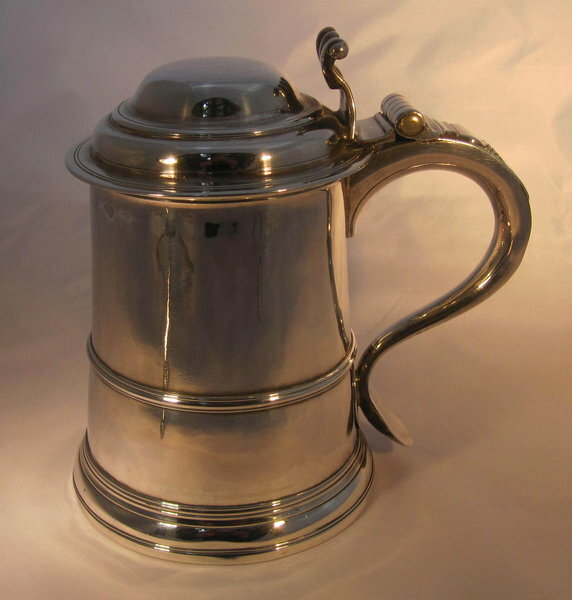 of plain cylindrical tapered form with one quarter height reeded band, raised on a stepped foot, with domed lid, scroll thumb plate and handle with initialled plaque 'IR'. 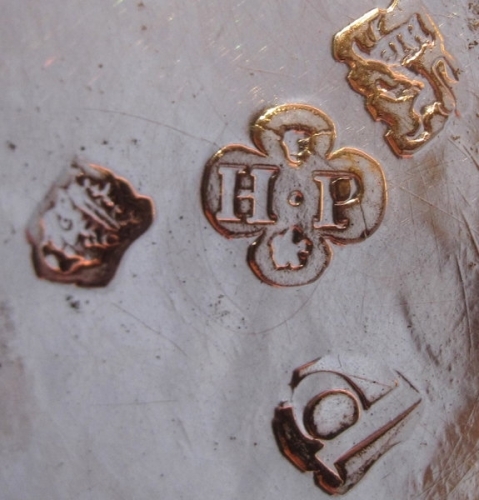 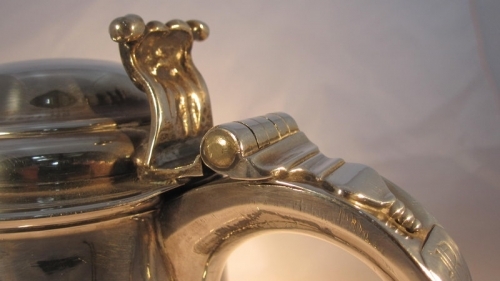 There is a full set of hallmarks both to the upper side of the tankard and inside the lid, together with the maker's mark on the handle as well. 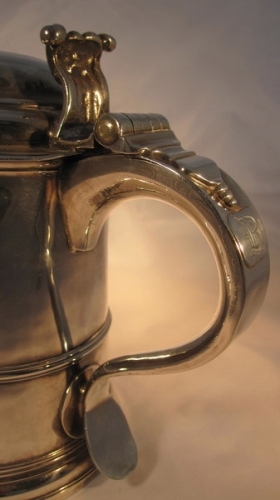 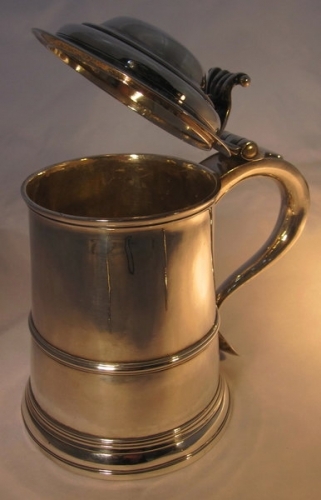 This is a truly stunning George 11 sterling silver tankard.